1 Do you know where you are you on the tightwad-spendthrift scale? 2 I think Money in the Day to Day has to be my favourite lesson. I’ve never gone out to look into the scientific reasons behind how we think of money; I thought I knew why I was like I am with money (past experiences!). 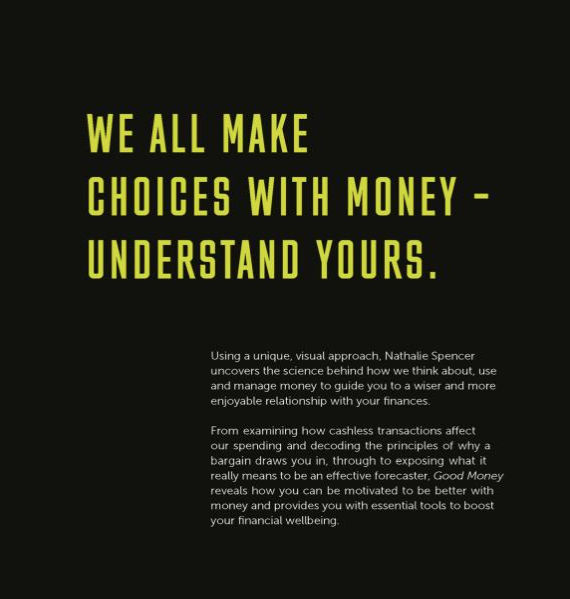 But reading Good Money by Nathalie Spencer, a behavioural scientist, has truly blown my mind! Now I’m actually really interested and have a much better idea of the science behind how I think about, use and manage my money! 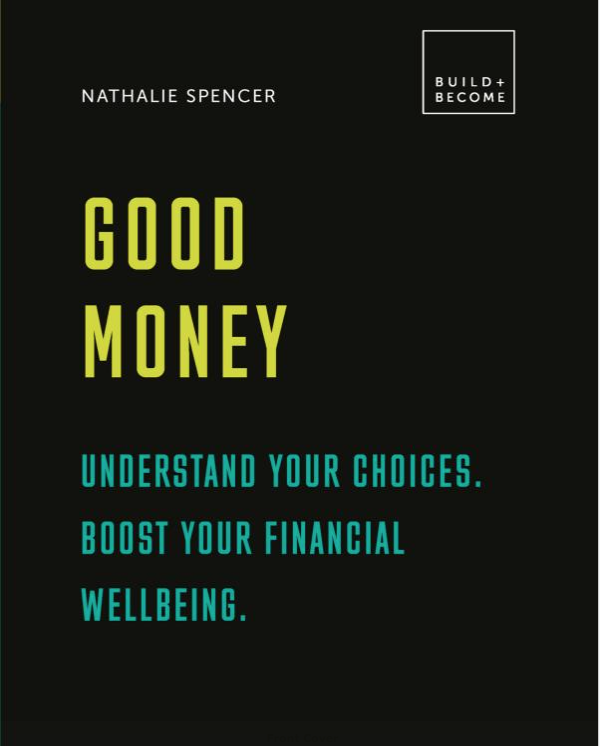 Read on for my Good Money by Nathalie Spencer review and how it can help you understand your choices and boost your financial wellbeing. I don’t read many books to be fair because I don’t actually like page after page of words. I like graphics to break it up and Good Money uses a unique, visual approach to uncover the science behind how we think about, use and manage money and guides you to a wiser and more enjoyable relationship with your finances. At the end of each of them there is a toolkit that help you track what you’ve learnt through each section of the book. They also include links to further reading, podcasts and videos that can give you more information on each specific category should you need it. Do you know where you are you on the tightwad-spendthrift scale? Nope I didn’t have a clue either but it was one of the first things I did when I came to the end of Money and Us! I have always known I was quite sensible with money. Nathalie talks about the effects of a one off change that maybe shortlived as we become accustomed to changes in our situation. I can 100% relate to this! I’ve wrote a post previously on the reasons we chose to stay in our current home and extend rather than move house. One of the reasons for that was that although on paper we could afford a bigger house… but could we actually afford a bigger house?? So many people see the figure of their dream house and the mortgage calculator giving them a ‘yes’ but there are so many questions that need to be answered before you commit. This book really makes you think about EVERYTHING! I think Money in the Day to Day has to be my favourite lesson. I don’t necessarily feel I have an issue with taking control of my finances, in fact I probably do it too much(!) but I know so many do. If you’re one that just bury’s their head in the sand when it comes to managing money then this section of the book will help you massively. I also thought I was already pretty good at getting good value for money but this section really made me think about it even more… just because a tag has 50% off doesn’t necessarily mean it’s worth it! Money Matters talks about the things you probably don’t actually WANT to hear but things that a lot of people HAVE to hear! The section on dealing with debt is so informative to read from a behavioural scientific point of view. There are things in there that I have never ever thought about and it really put things into perspective. Then I arrived at ‘Retirement ready?’…. no I am not! I don’t know what I have in my pension.. I’m ‘only’ 32, I know I ought to start thinking about it but I don’t particularly want to! Retirement is distant… maybe the books scientific explanation is the real reason why I don’t want to think about it yet?? The final section of the book talks about financial well-being & how it’s not necessarily about scrimping, scraping and sacrificing but rather how you can enjoy spending your money and encourages you to set goals. It was this section of the book that also confirmed my thoughts on how buying myself some time and hiring a cleaner is such a good idea!! 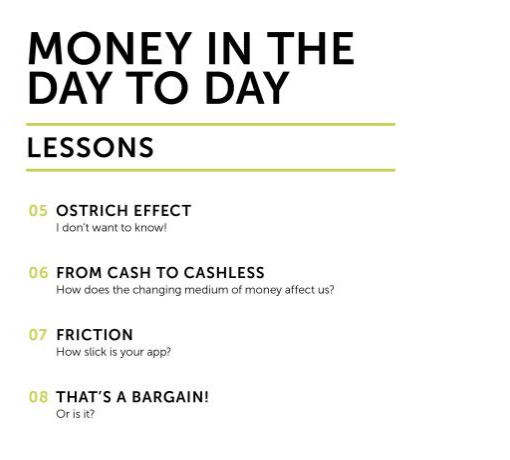 Money Matters is such a easy read with plenty of graphics along the way to help you visualise what is being talked about in each lesson of the book. There are some really inspirational quotes and it’s actually made me think more about how I’d actually enjoyed reading into the psychological side of managing your money and not only how it affects me but how it affects other people and how the things that I do could possibly help them too. Wherever you are on the spectrum; whether you’re a ‘tightwad’ or ‘spend thrift’, whether your in debt or have money spare each month; this book is for EVERYONE and I can not recommend it enough. If you found this post of value or feel someone else might benefit from a read then feel free to hit those share buttons further down the page.